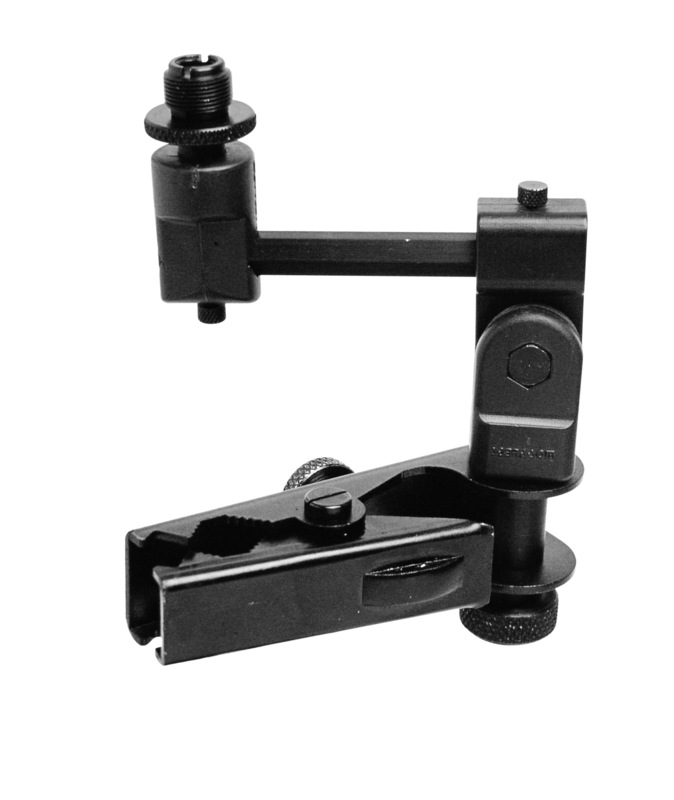 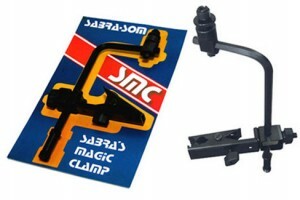 The SMC comes with a L format hexagonal aluminum bar with adjustable 5/8″ screw thread connections, mounted on a steel claw, attachable to tubular systems from ¼” to 1″ and to rectangular rods with ¼” thickness up to 1 ¼” (like a drum hoop). 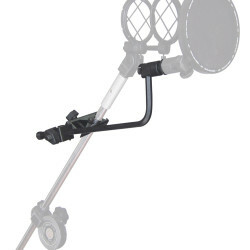 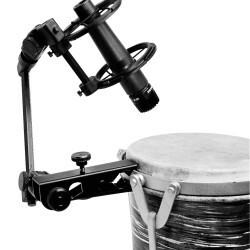 The SMC’s attachment is so efficient and strong, making it a powerful tool to hold any size of microphone. 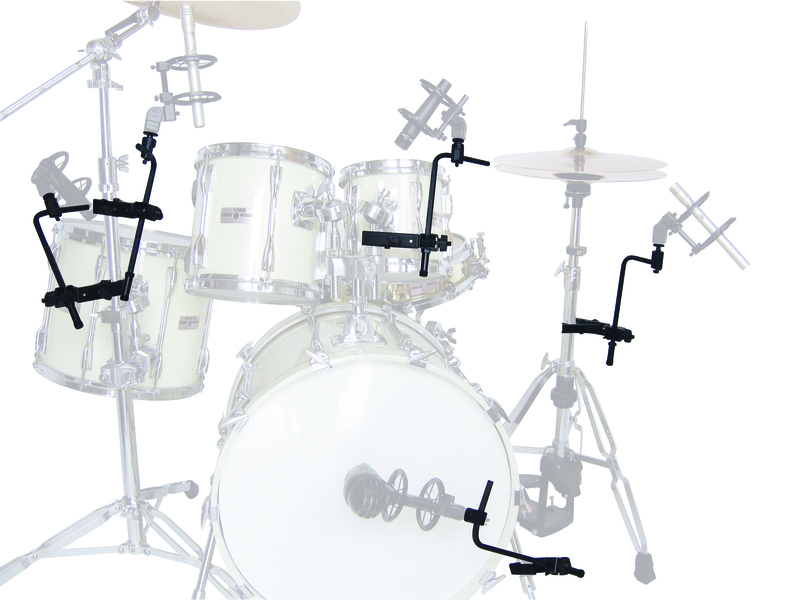 The SMC is of simple intuitive and friendly handling. 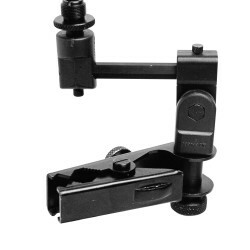 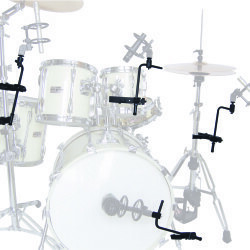 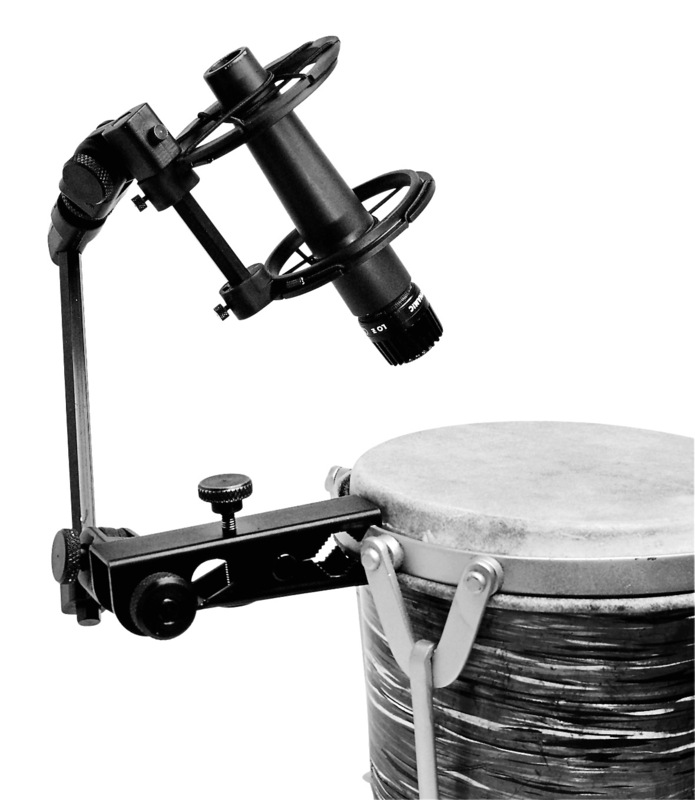 Easily attached to the percussion instruments hardware, allowing a great variety of adjustments. 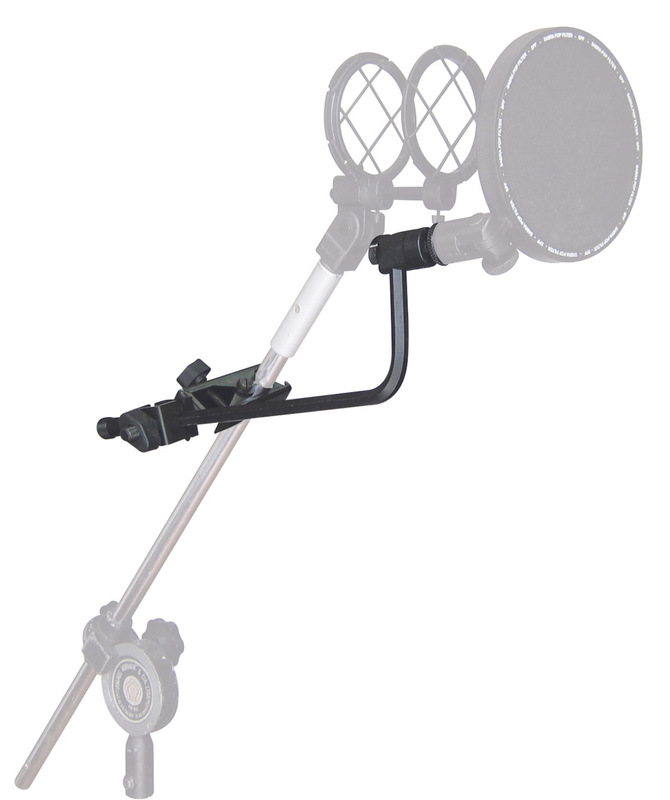 The most attractive feature is that the arm adjustment and fixing is done, manipulating a single screw.